With time, patience, and many trips to local wrecking yards, Nick Choy manifested an idea into reality. 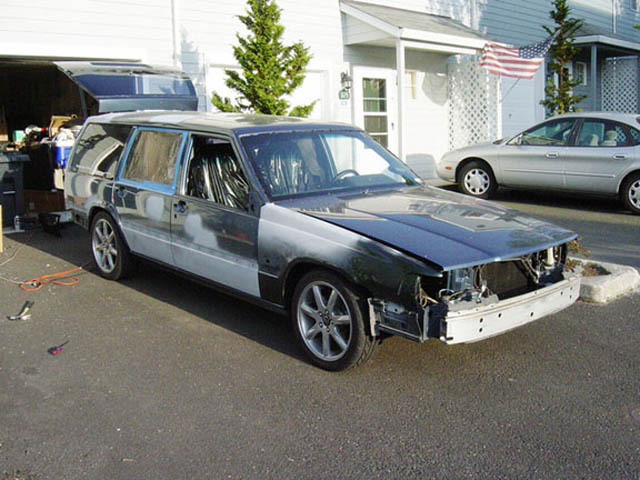 This impressive �90 740 Turbo wagon not only has the complete front end conversion, but also has �Aero� side skirts, 960 body molding, 960 door and tailgate handles, custom-fitted V70R rear wing, drip rails, rear wiper arm, and a 960 glass moonroof. He created the signature front and rear bumpers using 960 upper and V70R lower pieces perfectly assembled using a combination of plastic welding, fiberglass, and traditional bodywork. 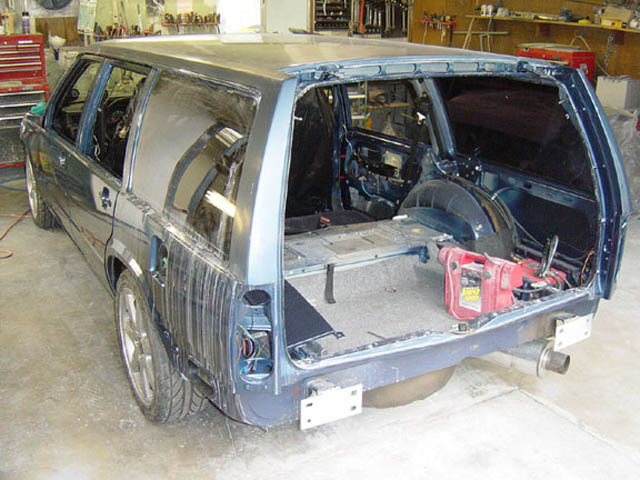 He set out to begin on his wagon's transformation in early 2003 by sourcing the body panels he needed. Although, the upgrades and continuous improvements had begun since he first acquired the vehicle from the original owner in 1997. As bumper covers and body panels began accumulating in the garage, he began spending numerous days researching and obtaining vital information for his project at local wrecking yards. After countless adventures to the local wrecking yard armed with a pad of paper and measuring tape, he was finally ready to begin this massive project in late 2003. Choy approached Yuri Virchenko, a local body & paint technician, to use his talents to surmount this great challenge. 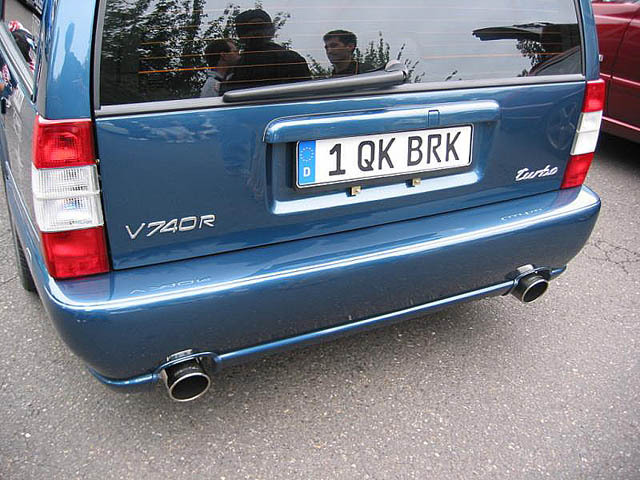 When Nick requested custom front and rear bumpers to be built, Yuri was sure it was not going to be an easy task. However, he agreed to take on the personal challenge. With any difficult tasks, the two encountered some initial complications and setbacks. The modifications went smoothly, but it was tedious and took hours to complete. The front bumper alone required almost 20 hours of labor. �I was eating, sleeping, and living that bumper for almost a week!� Virchenko exclaimed. Once the customization of the front and rear bumpers were complete, the pair had another challenge ahead� deciding on the new color this improved creation would wear. They decided they did not want to do a complete color change, yet it needed something striking. 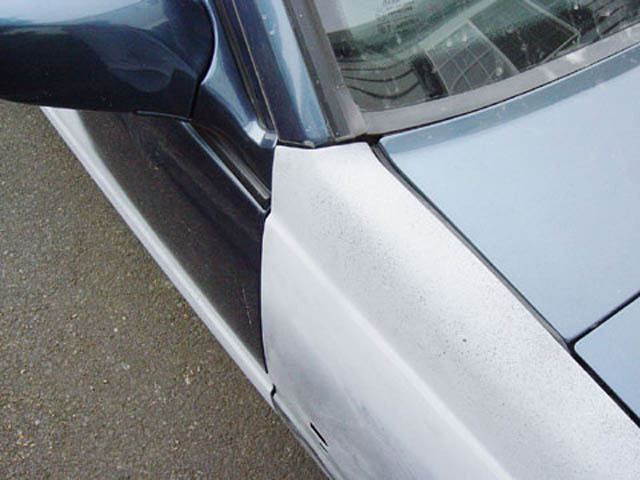 After some brainstorming and countless piles of paint chip samples, the team settled on a custom blue base with a light silver pearl and high-count metallic flake; the finishing touch would be the several coats of high-performance clear coat. 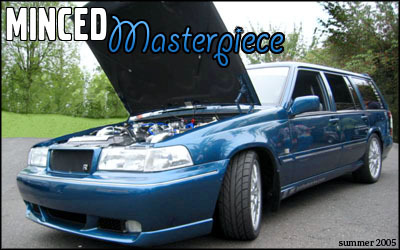 Under the hood is a highly modified, B230FT from a '94 940T. 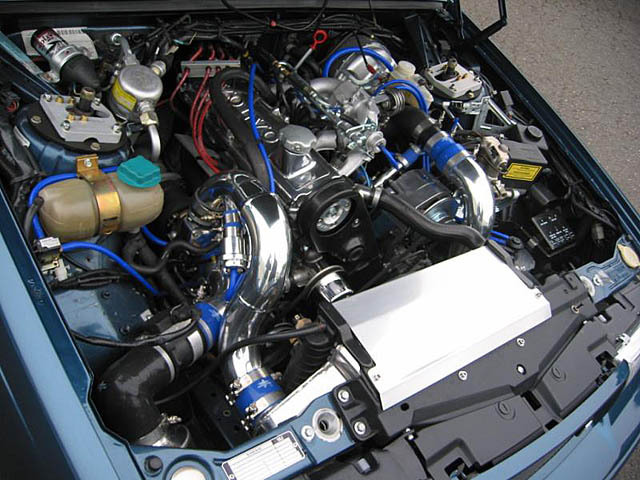 This �ford blue� four-cylinder motor puts out just over 300HP at the crank. It was rebuilt using Mahle .030-over pistons, a polished and lightened crank, and a Cutting Edge head gasket. The custom billet aluminum water pump pulley, polished aluminum valve cover, and anodized and plated accessory brackets add more eye-appealing goodies under the hood. Unhappy with the selection of transmissions available in the U.S. , a low mileage M90 5-speed manual transmission he was able to acquire from a salvage yard in Sweden was used. It turned out the air freight was a much better deal than he had initially suspected and within a few months he was able to source a Sachs performance pressure plate and the OEM clutch disc was relined with Kevlar. The original 530 head was sent off to Bearing Service in Portland, OR and underwent a Stage-1 port and polish, machined 5-angle valve seats, and match-ported the intake and exhaust manifolds. Cooling all that charged air is an intercooler designed by Tony Kihlstadius, another member of Turbobricks. It utilizes two stock Volvo intercooler cores sandwiched between larger hand made end tanks with a 3� inlet and outlet. The intercooler piping was sourced from Burns Stainless - polished 6061 mandrel-bent aluminum plumbing and the blue silicone couplings are from Turbonetics. Bearing Service also prepared the dual-mass flywheel with resurfacing, a bit of lightening, and speed balancing while mated to the new clutch disc and pressure plate. Installed in the rear is an OEM 3.73:1 Dana 30 with a Detroit TrueTrac limited-slip differential. 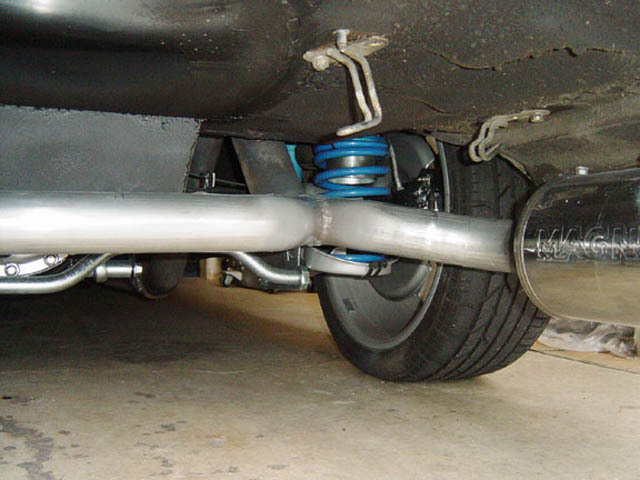 The system ends with a customized dual exhaust by Steve's Mufflers in Albany , OR , which includes twin 2.5� Magnaflow stainless steel mufflers with 4� stainless tips and all the associated piping. With all this newly acquired power, Nick set out to replace the suspension to handle it all. 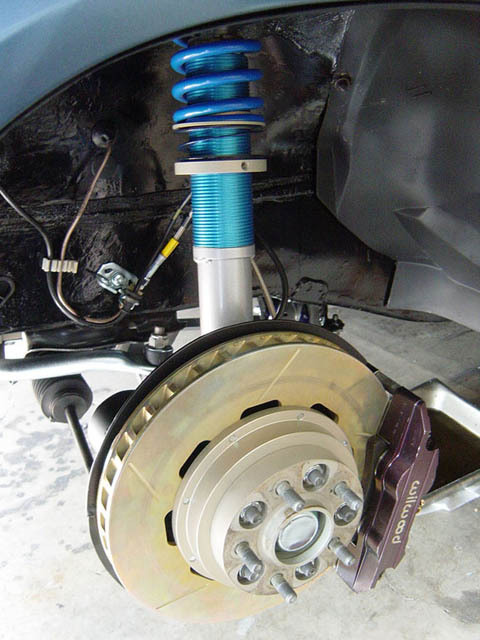 He installed a set of adjustable coil-over springs, Bilstein Sport shocks, a set of Ground Control adjustable camber plates, custom spherical-rod end links, solid-link rear panhard rod and rear torque rods, and a 25mm IPD rear sway bar. 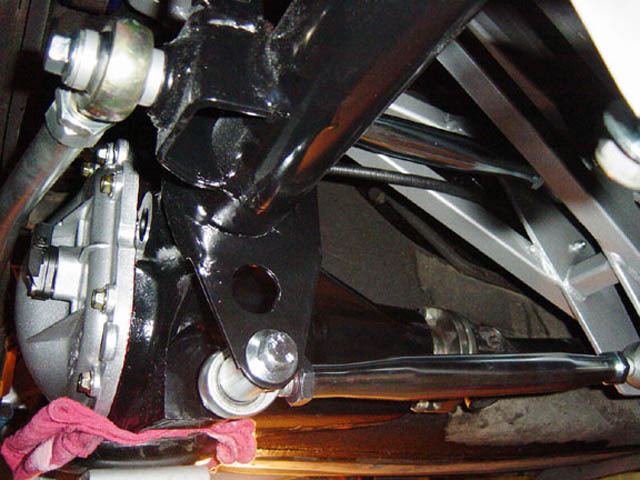 All components were powder-coated with high-performance silver to match the 18-inch BBS �Triton� wheels; while the entire front suspension was transformed by a polyurethane bushing makeover, courtesy of SuperPro Bushings. 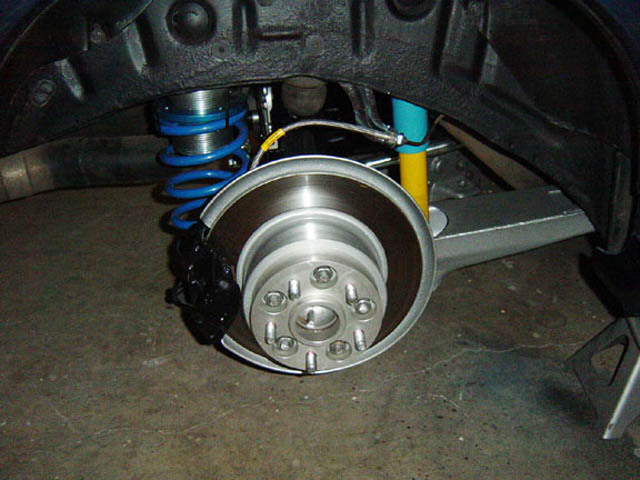 To provide enough stopping power on this machine, in front are two sets of Wilwood four-pot calipers with massive 12-1/4� slotted rotors and in back is a pair of 40mm OEM calipers. Hawk �Black� pads up front and standard semi-metallic pads in back are used for daily driving, while on the track, it calls for a set of Hawk �Blue� pads. With all of the work continuing, Choy spared no expense for his interior. 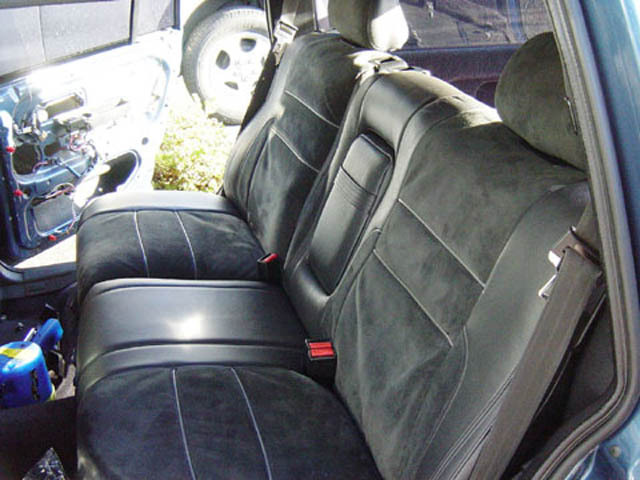 The �R� theme spills over into the interior with black suede and leather front seats from a '95 850R, as well as, rear seats matching the front using 850R OEM covers, custom-upholstered by West Coat Auto Trim in Portland, OR. Door panel inserts were customized to match the seats with embroidered �R� logos. Furthermore, water and oil temperature is monitored by a pair of VDO Cockpit Series gauges from a custom-built bezel in the center console; and boost levels managed by Apex'I boost controller while the RPM sits on the passenger side above the glove compartment. A Momo leather wrapped �Monte Carlo� replaces the OEM steering wheel. To maintain comfort, safety, as well as usability, he retained the factory installed comforts such as air conditioning, heated seats, ABS, and cruise control. In addition to the consistency of the interior with the exterior, no time or expense was spared on his sound system. One cannot have a great car without great sound so he proceeded to install two sets of Infinity components in the front doors, one Infinity Reference Series 5.25� midrange speakers in the rear doors, and a set of Infinity 1� tweeters in the D-pillars of the rear cargo area. Furthermore, for a smooth bass, he installed a pair of 8� M-Audio subwoofers to sit below the rear cargo deck in a custom-built ported box. The sound system is powered by a Rockford Fosgate 900W amplifier with a Kenwood 300W amp to provide power for the subwoofers. At the front is a Pioneer CD player with XM radio provides the interface for the entire system. A roof-mounted Fuba antenna was installed to assist in getting a clear signal. This wagon took time and patience, in addition to a price most would wonder about, but Choy chuckled and said, �You can't put a price on happiness�. So many cars are an example of the redundant lives we live on the roads each day. Choy chose a wagon to transform his ideas into a reality and sidestepped the typical model to create a custom automotive creation. As the owner of the only 960-850R-V70R-745Ti hybrid in North America , inside and out, Nick Choy has successfully made it worth it. 1994 B230FT from a 940 Turbo, stacked with Mahle .030 over pistons, and a polished & lightened crank complete the bottom end. The head, a 530 with a "stage 1" port & polish, 5 angle valve cut, and port matched manifolds is strapped on top with a cutting edge head gasket. A Cherry Turbo's Mitsubishi TD05-16T and custom dual-core all aluminum intercooler complete with polished piping provide the boost. The MVP 3" exhaust system combined with dual Magnaflow 2.5" mufflers completes the assembly. A Volvo M90 from Sweden along with a lightened and balanced flywheel and custom kevlar lined clutch disc. A TrueTrac LSD with 3.73:1 final drive ratio helps keep the tires stuck to the road. Custom adjustable coil-over conversion along with Bilstein shocks and Ground Control camber plates. 25mm IPD sway bars front and rear with customer spherical-rod end links. All kept in place by poly urethane bushings from SuperPro. 18x7.5" OEM Volvo "Triton" wheels made by BBS on 25mm spacer up front, and a 30mm spacer in the rear. All wrapped with Kumho MX 225/45-HR17 tires. The brakes are Wilwood 4-pot calipers on 12.25" slotted rotors up front and OEM in the back all with stainless braided brake lines. A combination of Hawk "black" and "blue" pads are used depending on purpose of use. Converted to a 960 front end including headlights, hood, cowl, fenders and grille. The air dam and rear bumper are combinations of a 960 top half mated to a V70R lower half riveted together and backed in fiberglass. The side skirts from the Volvo Aero kit were mounted up along with a modified V70R rear wing. All the door handles, wiper arm, drip rails and glass moon roof were pulled from a 960. OEM 850R front seats from a '95 and an 850R OEM cover was custom upholstered to the back seats. Custom door panels made to match, VDO cockpit series gauges, and a Momo MonteCarlo steering wheel finish off the theme. A Pioneer CD/XM Radio head unit and Infinity speakers in all the doors plus tweeters in the rear D pillars along with a pair of 8" M-Audio subs mount under the rear cargo deck. The 900w Rockford Fosgate and Kenwood 300W amps power the setup.